Hi everyone! 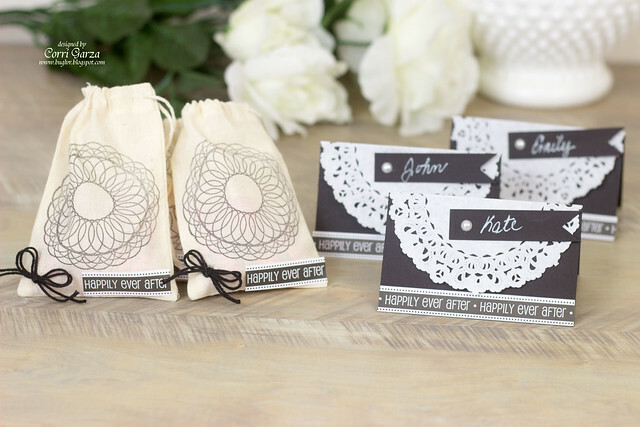 I'm up on the SRM Stickers blog today sharing some wedding favor bags and place cards. 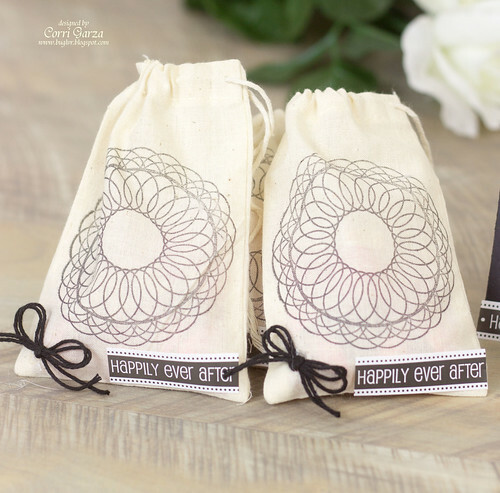 For the favors, I stamps a doily with StazOn ink onto the muslin bags and added a trimmed border sentiment from the Stickers by the Dozen Take 2 - Wedding. For my place cards, I trimmed a piece of card stock to 5"h x 4"w and scored at 2-1/2" along the long size to create my base. I folded the doilies in half and glue them in place. I cut a flag shape and added a pearl to create a space to write the guest's name. Head on over to SRM Stickers Blog to see tons of fabulous projects using all the new products! Love this! 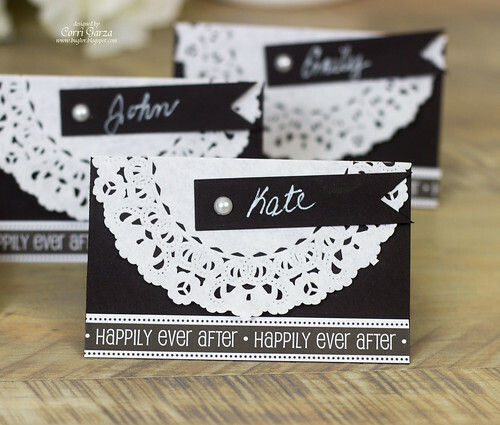 :) Your place cards and bags are simply, perfect!